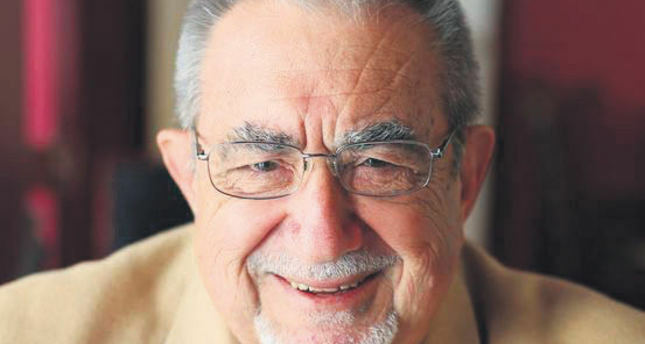 Cengiz Nazım Osmanoğlu, the descendant of Ottoman Sultan Mehmed V has passed away in the United States on Thursday, due to a heart attack. His family has not made a statement regarding where he will be buried. President Recep Tayyip Erdoğan has reportedly called his family to offer his condolences. Osmanoğlu had recently received his Turkish citizenship in April 2015 from Turkey's Consul General Ertan Yalçın in New York. Before being granted Turkish citizenship, Osmanoğlu had received citizenships from France, Lebanon and the U.S. The Shahzade's American wife Suzanne had also initiated the official protocol to become a Turkish citizen. Prince Shehzade Cengiz Nazim Efendi was born in Cairo in 1939. He was amongst the 24 Ottoman princes. He lived in France and England, and went to the U.S. for education purposes and received his undergrad degree in political science from the University of Oklahoma. He delivered pizza in his early years in the U.S. and has lived in Oklahoma, California, Texas and North Carolina. He reportedly managed a transportation company in the U.S. The remnants of the Ottoman Dynasty, which is composed of 75 people in total, including 24 shahzades, 15 sultans, 23 sultanzades and 13 hanım sultans is spread across four continents. The eldest member of the dynasty and the head of the family, Osman Bayezid Efendi, born in 1924 in Paris, has been living in New York. While Zeynep Tarzi, the wife of Osman Ertuğrul Efendi, continues her life also in New York, the daughter of Cengiz Nazım Osmanoğlu lives in Kansas and his son lives in Oklahoma with their children. The law that declared mandatory exile for Sultan Mehmed Vahideddin Han, the last sultan of the Ottoman Empire, Abdülmecid Efendi, the last caliph and 35 other people who carried the title shahzade entered into force on March 3, 1924. Many members of the Ottoman Dynasty lived in poverty and died in exile, while their children maintain their lives in the U.S., Germany, France, the U.K., Syria, Egypt and Lebanon. On May 15, 1974, the male members of the dynasty were granted amnesty by the Turkish Republic. However, only Bilun Hanımsultan, the granddaughter of Sultan Abdülmecid Han, is still alive among 250 people who were forced to leave their country via trains and ships. Born in 1918, Bilun Hanımsultan has been living in Beirut.